Deep cycle batteries are lead-acid batteries useful where maintaining a constant supply of electric power for long periods of time is necessary. These types of batteries do not require frequent recharging. Many people use deep cycle batteries for variety of purposes due to their high utility value. The most significant reason why deep cycle batteries are popular is because they are eco-friendly and has minimal adverse effect on the environment due to its unique energy-efficient properties. The design of the deep cycle battery and the method of its manufacture are two vital factors that should be kept in mind while choosing a charger for the battery. Each type of battery has its own unique features and therefore, the same charger will not be suitable for all deep cycle batteries. Choosing the right type of charger is necessary to ensure that one does not get into a situation where the battery gets totally drained out suddenly leaving him stranded in the middle of the road. He should make sure that the money is not wasted on an unsuitable devise. Deep cell chargers are, generally, utilized on boats to top up the charge of marine batteries to the maximum level. The same can be used for DIY electric car battery bank. It is also important to know the capacity of the battery before choosing a battery charger. The aspects that one should bear in mind when selecting a battery charger for a deep cycle marine battery include the pattern of the ‘battery bank’ or battery storage capacity, the input voltage of the battery, the condition of the electrical system and the chances of over or undercharging of the battery. The ideal battery charger is one that not only recharges the battery effectively but also helps in ensuring that the life of the costly battery lasts long by maintaining a stable charge. A good charger will also ensure safety of the battery device. While overcharging a battery is the major cause of damaging a battery, an undercharge results in failure of the battery. Those having a superior quality deep cycle marine battery should purchase only a high- tech quality ‘smart charger’. This type of charger is a computer controlled device and records readings from the battery while it is connected to it and transmits proper voltage and electricity needed to charge the battery correctly. Most of the ’smart chargers’ are also equipped with a ‘built-in equalizer charge’ that will turn on as soon as the main charging is complete. 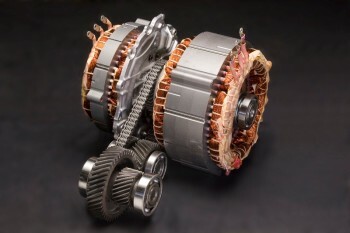 This balances the charge channeled to the individual battery cells in order to maintain the efficiency of the battery. A deep cycle battery charger selected should be portable so that it can be shifted for use in different locations. 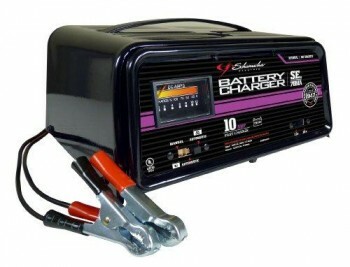 Even though marine battery chargers are primarily used on boats, in certain situations they are also used on surface. Durability and sustainability are important factors that need to be considered when choosing a deep cycle battery for your homemade electric car. It is essential to have a battery charger that is convenient to use and hold so that it can be hooked up properly. Deep cycle battery chargers offer the most essential back-up to those who are on a long driving trip. All these factors are important to ensure that one gets the best battery charging device for the money spent. As there are variety of chargers suitable for different deep cycle batteries, there are no fixed criteria for choosing a battery charger. However, these criteria may serve as guidelines for purchasing a proper charger suitable for the battery and this way, there will not be any scope for regrets later on. A superior battery charger can eliminate all the trial and error method of maintaining a deep cycle battery. Whether one buys a low-cost battery charger or a high-tech charger, by implementing a strict battery maintenance schedule one can ensure a longer hassle-free life span for your batteries.